Great bread like ours can't be made without great people! 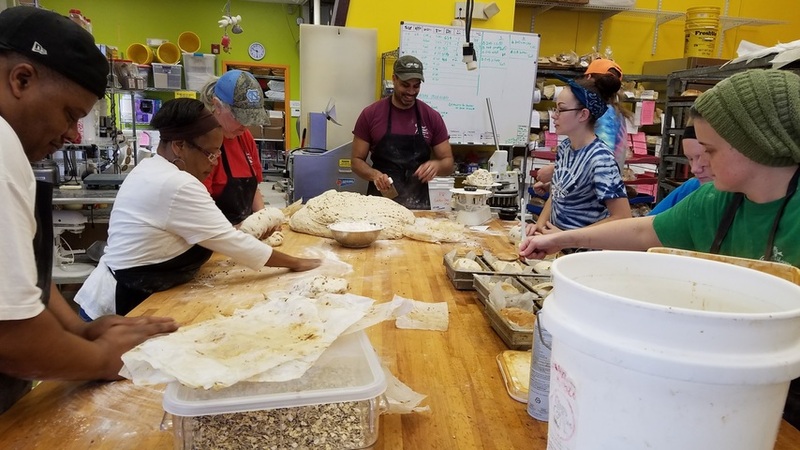 We believe our employees become experts at their job, which is to make the best bread possible and get it from our oven to you in a friendly yet professional manner! Our crew is here to help make your time spent in the bakery one of the best things that will happen to you all day! Feel free to ask questions or make suggestions to any of our team member ... we love to hear from you!